Organic Food – Should you believe the Hype And Is it Worth the Cost? 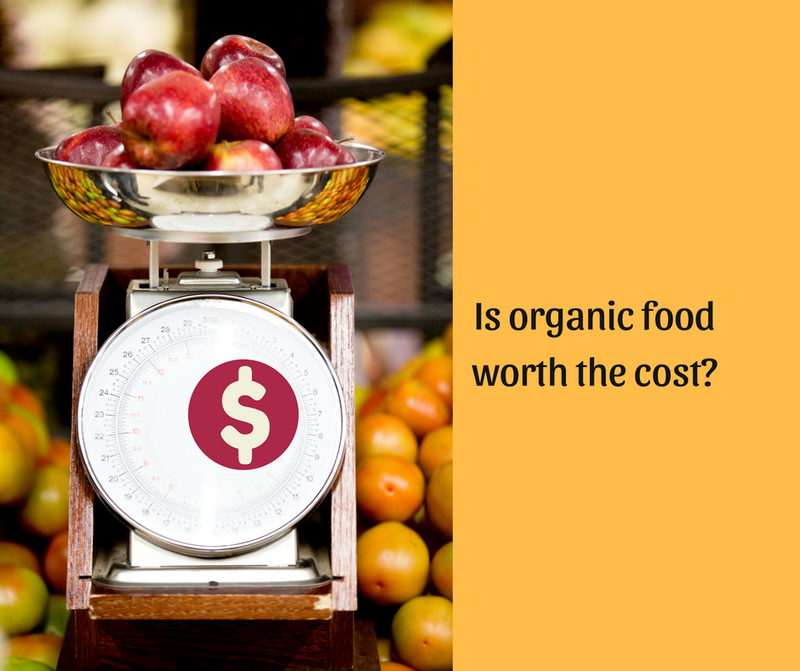 Home » Blog Posts » Organic Food – Should you believe the Hype And Is it Worth the Cost? Organic food has more vitamins and minerals. Without the use of pesticides, organic fruits and vegetables must fend for themselves. They do so by producing more of their own antioxidants to guard against harm. Studies show that organic foods contain 18 – 69% more antioxidants than conventionally grown crops. This means that organic eaters consume nearly twice as many cancer-fighting, age-reversing, immune-boosting antioxidants every day! In addition to those awesome antioxidants, one study also shows that organic foods have higher levels of vitamin C, iron, phosphorus, and magnesium than conventionally raised crops. Meanwhile, remember those synthetic fertilizers mentioned earlier? Well, they get that big boost of energy via high levels of nitrogen. This causes conventionally grown crops to have higher levels of sugars and starches as opposed to the protective antioxidants found in organic foods. So, which would you rather be eating? Organic food is less toxic than conventionally grown crops. It’s probably something we all assume when we think of “organic,” but it’s good to know that there is scientific proof backing that assumption. A meta-analysis of 343 peer-reviewed studies conducted by the British Journal of Nutrition found that conventional crops have higher levels of the toxic metal cadmium and as well as pesticide residues. As you may have heard, researchers also found an increased cancer risk in children near California strawberry farms that use pesticides. And in recent news the large agricultural corporation, Monsanto which manufactures a well-known pesticide, just lost a lawsuit with a cancer patient, and now owe him 289 million dollars. He simply applied Monsanto’s weed killer pesticide regularly on the school lawn he was in charge of caring for. To learn more about which crops you should always buy organic based on pesticide levels, there is a great resource created annually by EWG, a nonprofit organization that advocates for policies that protect global and individual health. The EWG Shopper’s Guide to Pesticides in Produce” ranks the pesticides levels in 47 different fruits and vegetables. Talk about leaving a bad taste in your mouth! Speaking of which…. If you have other questions about nutrition or natural ways to improve your health, detoxification from environmental pesticides or other chemicals, please feel free to contact us. We would be happy to help. Just give us a call or email us. We would love to hear from you.